Your wedding day will be full of emotion—nervousness, excitement, anticipation. There isn’t much room for error and the day’s activities can be quite hectic. Relieve some of this stress by having your bridal portraits taken ahead of time by our outstanding Chicago bridal portrait photographer! 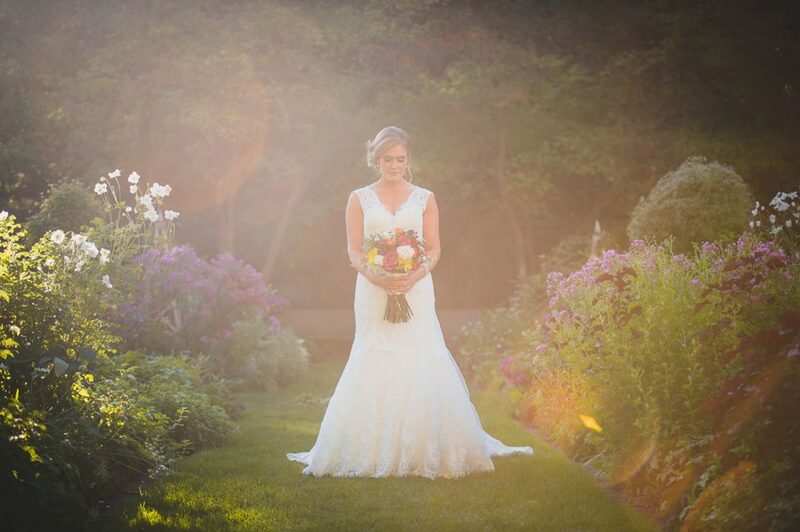 Located in the heart of Chicago, we take beautiful photos of brides all over the world. Bridal portrait sessions are professional photo shoots of the bride all dolled up in her wedding dress, with hair and makeup done. Generally, bridal portraits are taken a few weeks before the main event, wherever the bride chooses to take them. Some couples choose to use this time to have photos taken of the both of them, which we term, engagement portraits. On your wedding day, your photographer will certainly take some solo portraits of you, but if you’re someone who is not particularly camera-ready, or picky about how you look in photos, this is a great chance to have a professional Chicago bridal portrait photographer capture you in your best light, without an impatient friend or relative rushing you on your already nerve-wracking day. WHY SHOULD I HAVE BRIDAL PORTRAITS TAKEN? Choosing whether or not you would like to have bridal portraits done is definitely up to you and your partner. Some couples choose to opt out while others think they are essential. Whatever the case or reasons may be, it’s important that we emphasize the reasons why having a bridal portrait photo shoot done can be truly beneficial. 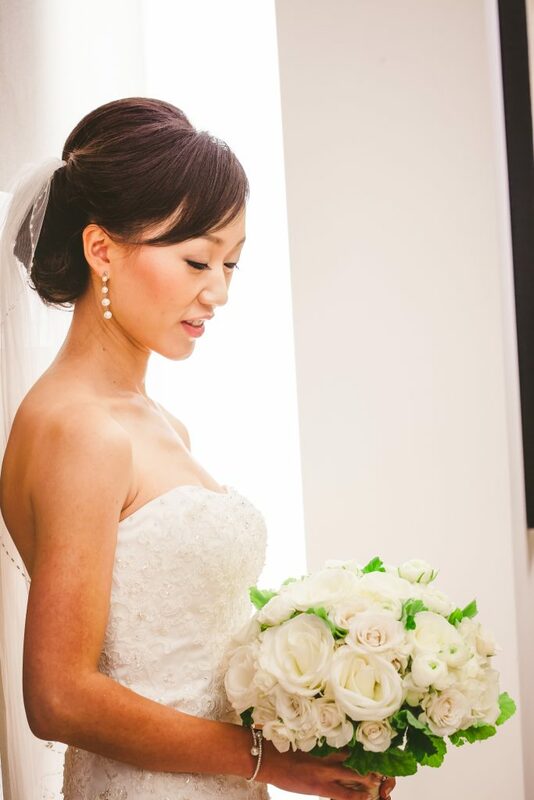 First, bridal portrait sessions are a great opportunity to see a sneak peek of your final bridal look. 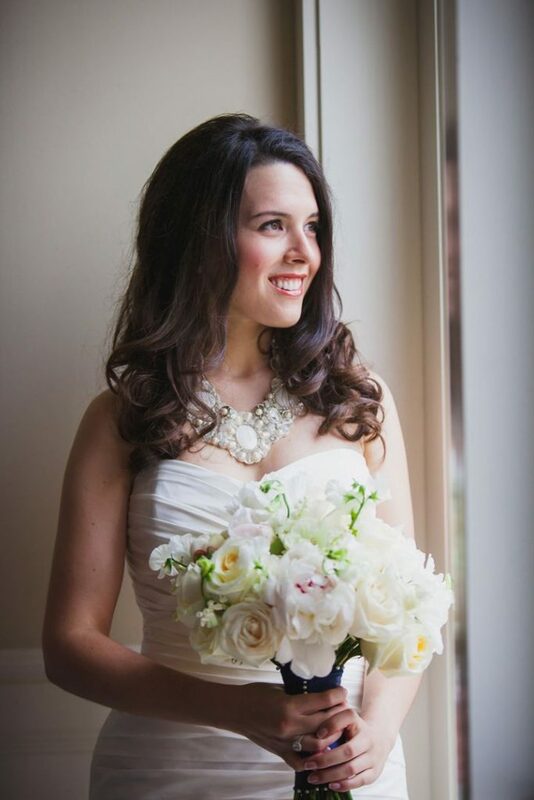 When you get photos taken by a professional Chicago bridal portrait photographer, you can use this time to get your hair and makeup done by the stylists who will be doing them on the day of your wedding, to see if you like the way that you will look. Not only will you be able to be more comfortable in your wedding attire for your big day, but you also will be able to determine any final adjustments or alterations to your outfit or hair and makeup that might be needed ahead of time. Doing your hair and makeup beforehand is also a great way to make sure your look is durable after several hours, and determine new ways to make sure you feel your best throughout the entire celebration. Another reason bridal portraits are so efficient is that you can go wherever you’d like! There’s no specific law that state you have to take them at the same venue as your wedding. In fact, you don’t even have to stick with the same theme as your wedding photos! Taking bridal portraits gives you the chance to explore new places and get photos of you in gorgeous scenery, since you’ll still be taking hundreds of pics on the day of your actual wedding. On your wedding day, your bridal portrait photographer may be quite limited with how and where to photograph you. But taking bridal portraits at a different location will give you much more diversity and flexibility for what you want. 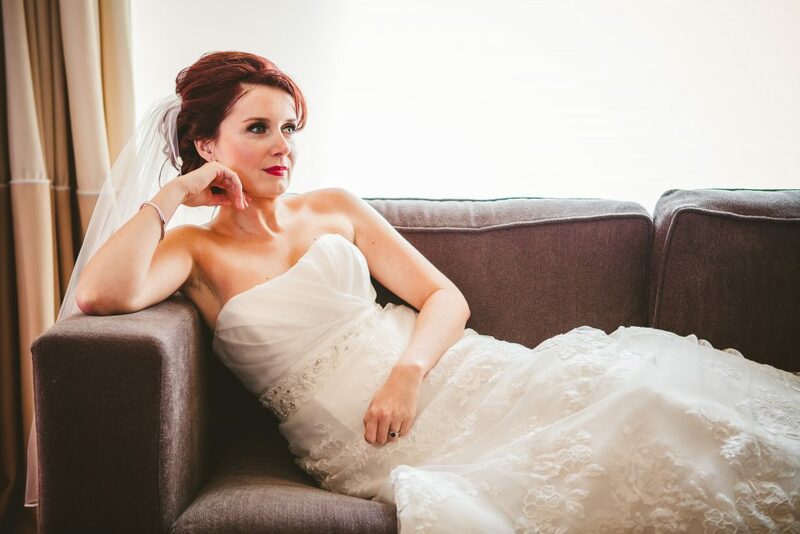 Bridal portrait photo shoots also give you the chance to take as much time as you want. On your wedding day, you and your photographer will have to adhere to a strict schedule, and you might have a very small window of opportunity to take gorgeous, calming pictures of you in a dress you’ll likely only wear once. 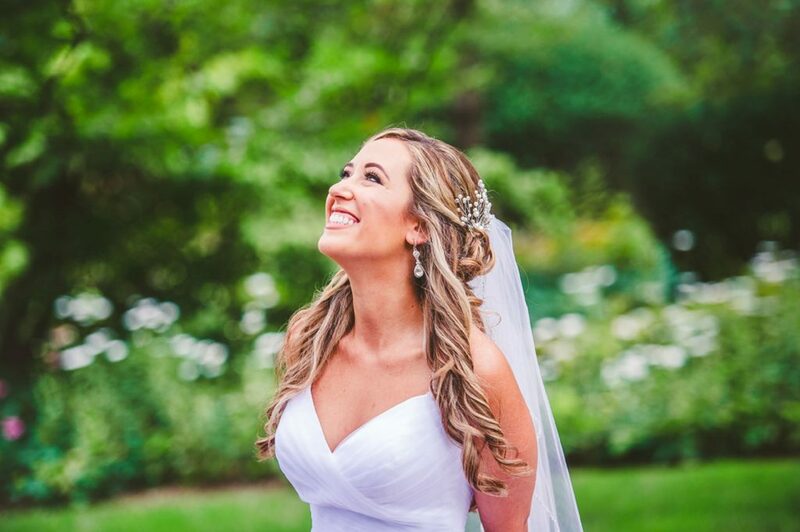 Instead of being worried you’re going to miss some key shots, hire our Chicago bridal portrait photographer to get some stress-free glam photos of you! 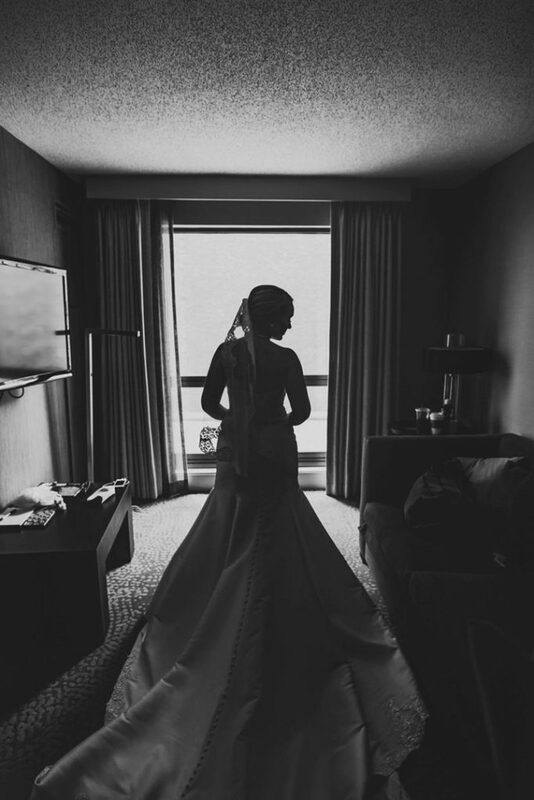 One of the biggest perks of hiring a Chicago bridal portrait photographer to shoot your bridal portraits before your wedding day is that it gives you the chance to meet and get to know your photographer before the actual day arrives. Working with your photographer in advance helps you learn more about their style and you will be able to decide what you like and what doesn’t. By the time you have to pose for photos on your wedding day, you’ll know just what to expect and be an expert when it comes to choosing the most flattering positions. There is so much effort and thought that goes into planning for your big day, why not capture how you’ll look with beautiful bridal portraits? At LakeShore Photography and Video, our creative bridal portrait photographers specialize in capturing pictures that share your story. We believe in modern, honest documentation. While we are located in Chicago, we are available for weddings and engagement sessions everywhere. We are also seeking to find new adventures worldwide, so don’t hesitate to ask! As a leader in the wedding photography industry, we have been Chicago bridal portrait photographers for over 15 years now, and have loved every second of it! 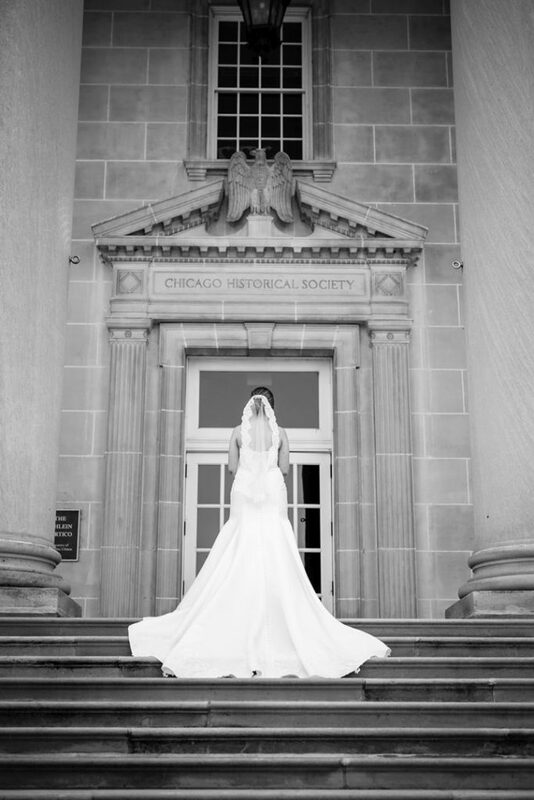 The windy city has an abundant of great bridal portrait locations and gives a Chicago bridal portrait photographer the chance to capture outstanding and inspirational portraits of your bride. We are truly blessed to have worked with some of the greatest venues in the city: The Drake Hotel, the Ravenswood Events Center, the Stan Mansion, the Ivy Room, and many others. Having grown up in the city, our Chicago bridal portrait photographer knows the ins and outs of the best, most unique and undiscovered locations for your bridal portraits. Depending on your personalities and style preferences, there is a large variety of various backdrops that can be used to build the perfect scene for your bridal portraits — whether that be the wall of skyscrapers behind your hair blowing in the wind, the shores of Lake Michigan as your toes sink in the sand on the beach, or the Chicago Botanic Garden’s unforgettable waterfall and rose garden — the possibilities are endless. If you can’t think of where you want to have your bridal photos taken, we’ve got it taken care of. Our Chicago bridal portrait photographer has years of experience taking photos of brides from all over the city, and the world! From capturing brides wandering down the North Avenue Beach pathway to its park, strolling through the crystal gardens at Navy Pier, or walking along the bustling streets of the Chicago riverwalk, our bridal portrait photographer has done it all, while making sure to capture the look on your face when you stare at the beauty as the sun sets behind the skyline. We want to make you feel as special as you will on your wedding day itself. Whether you want practice feeling comfortable in front of the camera for your wedding day or simply want photos to use in your slide show during the reception or on your save the dates, hiring our professional bridal portrait photographer to shoot your test run bridal photo shoot is one of the best things you can do when it comes to the planning of your big day. Do you want another chance to wear your wedding dress? Are you worried about not having enough time to take gorgeous pictures of you on your special day? 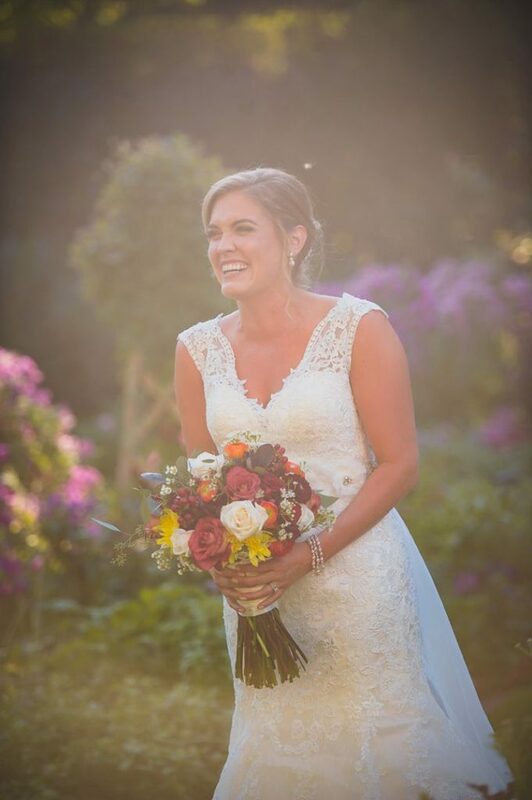 Send us an email for a free quote or call us today at 847-687-2336 to speak with our advanced bridal portrait photographer who will be more than happy to help!